It seems like now that we are hot in the middle of a digital age people either want to hear..or not hear what's going on around them. I know for me there are times I don't want to hear the music my kids are listening to but they want to jam it out. And it's those moments I'm glad they both have a good set of headphones so I don't have to. However, as a mom I still have to worry about the music hurting their ears from it being too loud. 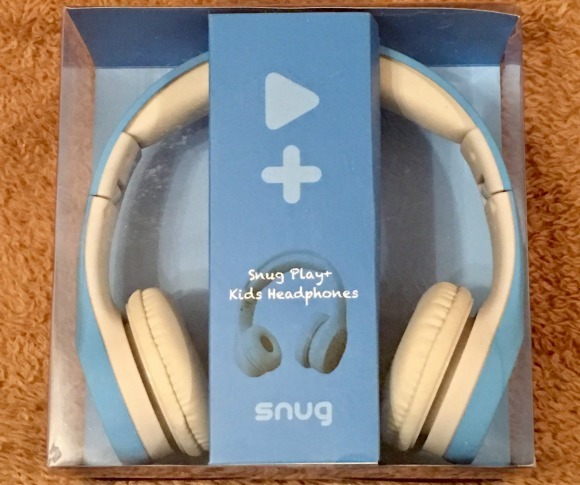 And that's what really drew me in with these Snug Play+ Kids Headphones. They are volume limiting so I don't have to worry about that. No more arguments from me saying it's too loud to turn it down and the kids saying "but I can barely hear it". Plus they have a fun feature of a share port so the kids can share their music with a friend - quietly. They are advertised as kids headphones, but I was able to comfortably wear them on my average sized head so with the adjustable headband they will fit for quite a few years. Sometimes when you see "kids" that means things will be small and only fit young children, but with these that is not the case. And on the other end of the spectrum there are times when even kids don't want to hear what's going on around them. No, no I'm not talking about the times they don't want to hear us telling them what to do..even though that happens too. I'm talking about kids who have a hearing sensitivity to loud sounds, or are just bothered by things like large loud crowds or sounds. That's when you need good hearing protection for them like that provided by a set of the Snug Safe n Sound Kids Earmuffs. Again these are adjustable so they will fit for many years to come. I tried them on and thought they were quite comfortable. We like to target shoot in our backyard (we live in the country) so these are perfect for my daughter to protect her ears. She likes that she can still hear us if we talk to her, but it muffles loud sounds so they don't hurt her ears. 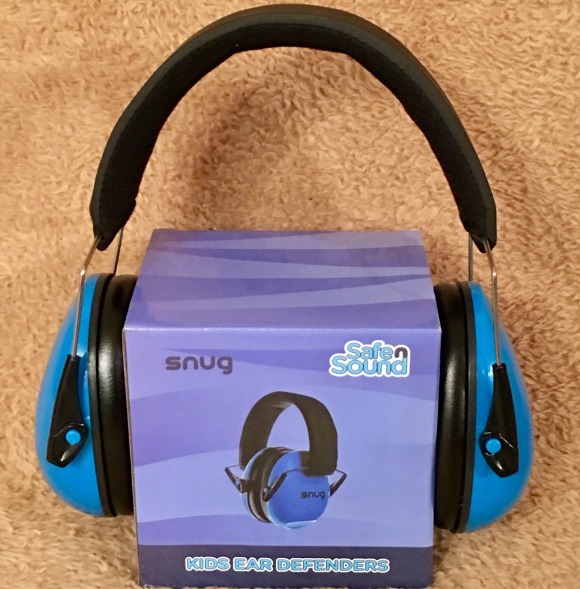 Win it: 5 lucky readers will win a pair of Snug Safe n Sound Kids Earmuffs and 5 lucky readers will win a pair of Snug Play+ Kids Headphones. (You CAN enter both giveaways) These giveaways will end May 3rd at 11:59 PM EST. The winners will have 24 hours to respond to my email. If no response, a new winner will be chosen. Prize fulfillment will be made by the sponsor, I am not responsible for prize delivery or lost or stolen deliveries. Open to residents of the US. I'm most bothered by children yelling. I love to listen to yacht rock. Michael McDonald FTW! I love to crank up some bluegrass music while I'm doing my Saturday cleaning. My favorite sound to listen to is rain! My husband blowing his nose is a loud sound that really bothers me. The loud noise that bothers me the most is crying and screaming kids! I hate to hear a little one in distress. My favorite sound is the sound of the ocean 🌊 waves! I had going to races and hearing the loud engines; these would be perfect for that. I love listening to the birds chirp! I love listening to night sounds... owls, snoring, crickets. I hate listening to stuff that's shrill or squeaky. I like to listen to all types of music like pop, rock and Easy listening music. My kids like to listen to Disney songs or Laurie Berkner. I am most bothered by jack hammer sounds and loud dogs barking in the night! I love to listen to country music and birds chirping early in the morning. I HATE listening to our neighbors dog barking all day. I would much rather listen to the birds! I hate hearing screaming children in a store having a meltdown. Oh God that's the worst. Loud sporting events. Hard to enjoy the game. I love the sound of the small ocean waves crashing on the sand. The sound that bothers me the most is a tie between people chewing their food or people with a whiny voice. We love the standard pop, dance, country music. My kids hate the sounds of frogs croaking at their window all night! I love the sound of the ocean or waterfalls! We live by the ocean so I hear that a lot more. For me its going to large functions when the crowd cheers really loud, or like the monster truck shows or car races. My favorite sound to hear is nature sounds and my kids laughing! I can't stand the sound of a lot of voices at once like when you are in a cafeteria or loud restaurant. I love the sounds of nature, waves crashing into the shore, and children's laughter. The loud sound that bothers me the most is when people yell instead of just talking. I love the band Bobaflex! My daughter's loud music bothers me. I hate to hear people blasting their music. For example, if my car shakes and your not even next to me, its too loud. To assume that everyone wants to hear what you like is very inconsiderate and self-absorbed. It's not a loud sound, but I hate the hum of my computer. My favorite music is 70s music. I don't like the sound of the dentist's drill. My favorite sound is my grandson's laughter. I hate sporting events, I feel that it's too loud for my children so we don't often attend anymore. I love the loud, fun atmosphere, but feel it's not good for my children. My favorite sound it piano music. nails on a chalk board is the worse sound for me. My favorite sound is hearing my childrens laughter! The sound of sirens bother me. I love listening to anything upbeat and fun! Loud screaming bothers me the most. My favorite sound to hear is my cat purring. I love listening to the birds sing! The TV blasting gets on my nerves. I love the sound of a thunderstorm. Fussy kids on a road trip. My favorite music is probably some r&b music to listen to. Irritating is dogs continuous barking at night and scratching nails/filing nails. We have a labrador retriever with the loudest bark known to man...it is horrible. I dislike hearing loud noises from traffic. I like listening to the ocean and relaxing music.